Keith Haring was born in Reading, Pennsylvania in 1958. His father was an engineer and drew cartoons. Haring began making art in his youth and was inspired by Walt Disney and Charles Schulz along with Looney Tunes and Dr. Seuss. Haring was an evangelical Christian but left the faith to travel America and become part of the counterculture. In 1976, Haring enrolled at the Ivy School of Professional Art in Pittsburgh, but he quit two years later to pursue his art independently. In the late 1970s, Haring explored the art of Jackson Pollock, Jean Dubuffet, and others. He had his first solo exhibition in 1978 at the Pittsburgh Center for the Arts and subsequently moved to New York City to study painting at the School of Visual Arts. Before long, Haring started to create public art in subway stations, often in the form of chalk drawings on empty, black ad panels. In the early 1980s, Haring developed his trademark symbol, “The Radiant Baby,” an image transposed from his religious past to a colorful, Pop context. Haring’s growing reputation led to friendships with other artists, including Jean-Michel Basquiat, Futura 2000, Madonna, and Andy Warhol, who championed Haring’s work. 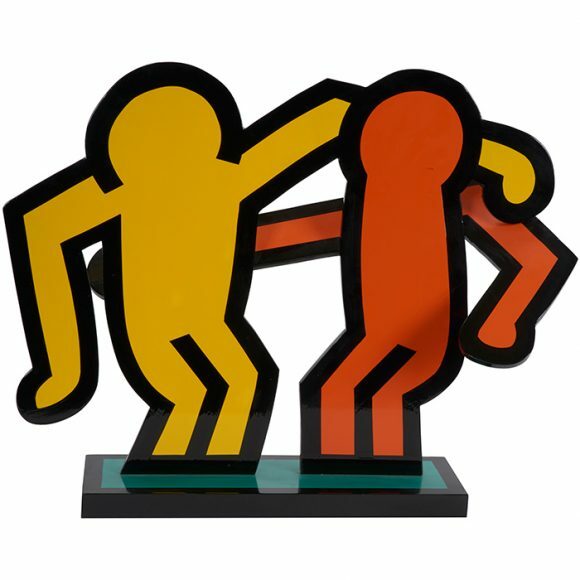 By the end of the 1980s, Haring had created in excess of 50 public works internationally. Many of these dealt with homosexuality and the AIDS crisis given that Haring himself was gay. Perhaps his most famous mural, “Crack is Wack,” was created in response to the drug epidemic in 1986 off FDR Drive in New York. Haring’s Pop Shop also opened in 1986 in Soho, making his art and reproductions available to the general public at reasonable prices. 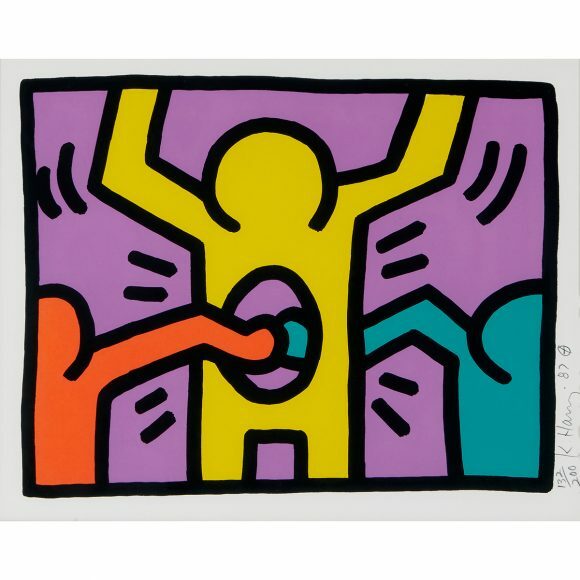 In 1988, Haring tested positive for HIV and soon created a foundation to fund care-giving organizations and help make those dealing with the disease visible. 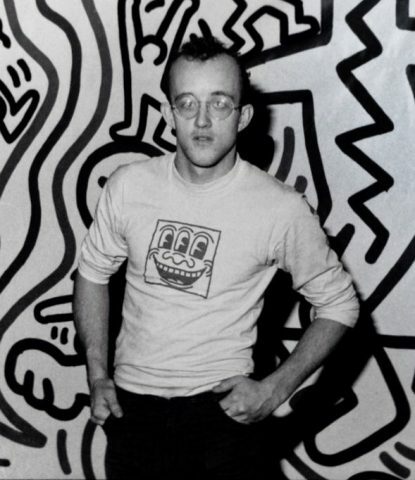 In 1990, Haring died of AIDS-related complications. Multiple retrospective exhibitions followed in New York and abroad. 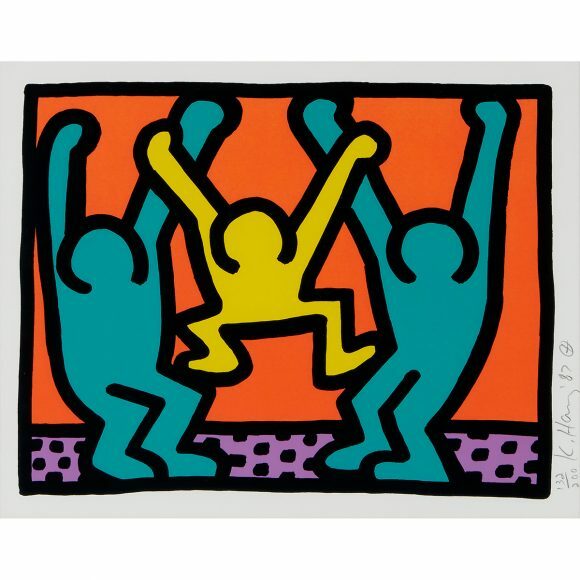 Today Haring’s work is immediately recognizable and represented in several important collections, including the Museum of Modern Art and the Whitney Museum in New York, the Art Institute of Chicago, and the Stedelijk Museum in Amsterdam.